Looking for something a little more challenging? Try our Ladder Climb! Climb on the ladder and hang on for lots of fun and excitement. See how far you can go before flipping over into the soft inflatable landing area. 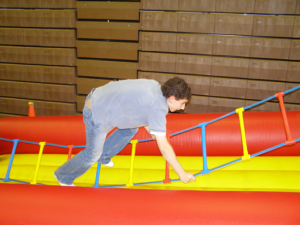 Great for all events including schools, colleges, corporate events, and team building.